Economists now see a lower chance of any further changes to Bank of Japan monetary policy through the 2019 calendar year, after the central bank last week announced the most significant changes in two years. The 42 respondents to a survey were unanimous in predicting no additional action this year. More than half — 57 percent — said they expect it only after 2019 — up from 41 percent in the poll prior to the July meeting. The latest poll was conducted from Friday through Monday. A sales tax hike scheduled to take place in October 2019 will probably prevent the BOJ from risking an outright hike in the target for 10-year bond yields, said Shigeto Nagai, head of Japan economics at Oxford Economics in Tokyo. “Until they confirm at least some of the effects of the sales tax hike, I don’t think the BOJ can move their 0 percent target,” Nagai said. Economists disagreed about whether the changes amounted to a small step toward normalization. 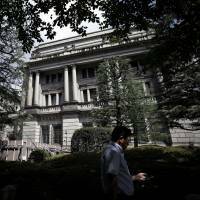 The BOJ said they were meant to increase sustainability as it struggled to reach its 2 percent inflation target — a goal that is increasingly seen as out of reach. “I do have a baseline view that the 2 percent target is becoming an illusion, a mirage,” said Nagai, adding that 1 percent is likely the norm for the country over the long term. The BOJ cut its inflation forecasts for coming years and now sees core consumer prices rising 1.6 percent in the fiscal year ending March 2021. Gov. Haruhiko Kuroda said momentum toward 2 percent remains in place, but hasn’t said exactly when he expects to hit it. Nearly three-quarters of economists surveyed said they don’t expect that target to be reached until after the 2022 calendar year. BOJ board members did the best they could to address policy side effects without excessively roiling markets, according to Mari Iwashita, chief market economist at Daiwa Securities Co. 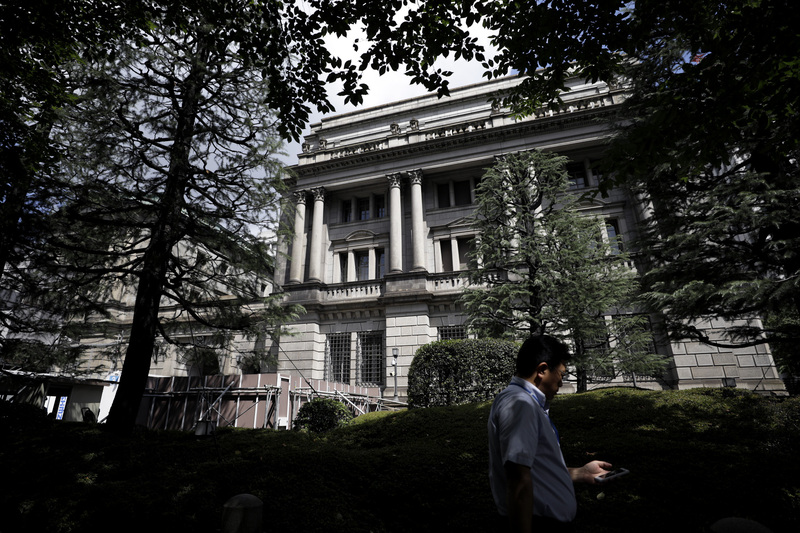 The BOJ said it will continue looking closely at policy side effects, including the impact on profits at commercial banks. Otsuki said she expected the BOJ to maintain its current policy framework for some time, but said the BOJ could take further steps to mitigate the effects on banks. One option would be an even wider range for 10-year JGB yields, or it could shift its focus to targeting 5-year yields instead, Otsuki said.